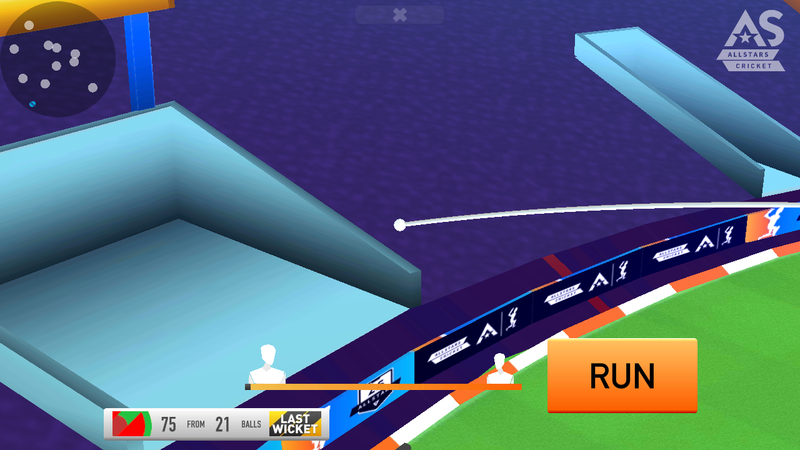 Download new all-stars super cricket game. It's a brand new cricket card game for Android. 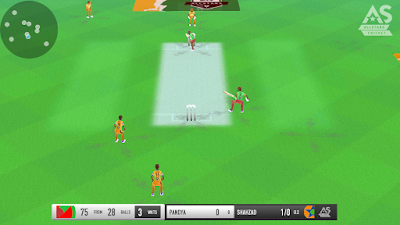 We usually play many cricket games now on our Android devices. The popular game like World Cricket Championship 2, Real Cricket 18 And World Cricket Battle. In previously we provide you with too many cricket games for android. But this time we bring you to a brand new cricket game for you. 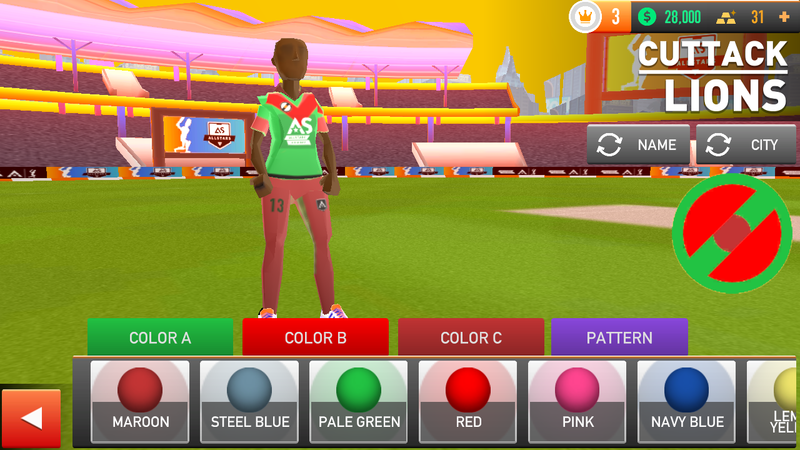 The game that we provide to you that game name is All-Stars Super Cricket. It's unreleased game for us but you can download on the beta version of this. It is usually different cricket game from other because in this game you can collect players card and also upgrade then in every match. If any player fails to perform in any match then the level will decrease. There are many features are available in this game. But one thing is noticeable that the game graphics are not that great because of its size. Yes, you can download this game minimum 22MB file size. 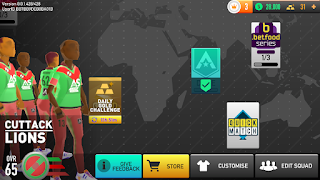 You can experience the latest series or tour in this game with daily challenges. If you clear series then you will be rewarded with Gold. Gold helps us to purchase new player cards. 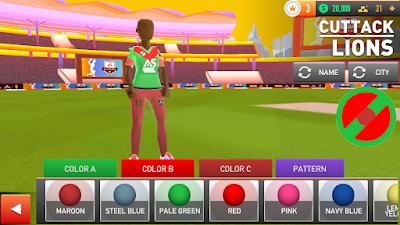 You can also customize the player look, Jersey not only that you can also set your team name and many more. It is little different control from other cricket game. But it is easy and fun control just Tap any direction on the field to play shot with proper timing. If you try to hit Six then hold the ground. If you hit proper timing then you will goes for a six. This is the highlighting features of this game. 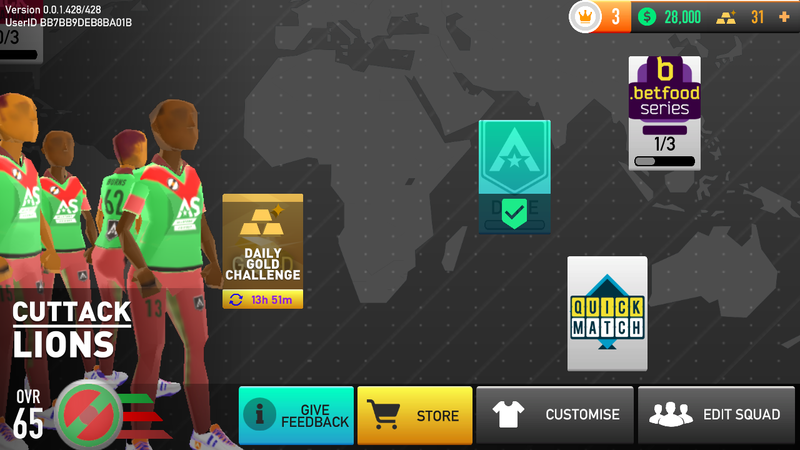 Apart from this, you can enter any matches then fill the condition of that match. Then you will be entre. So, perform well in every match to increases the level of every player and win every series.